If you’re a real estate investor, the words of Warren Buffett will make a lot of sense. We reap best rewards with long-term investments. However, when it comes to retirement, we often forget the benefits of long-term investing. According to research from the National Institute on Retirement Security, nearly 45% of the working-age households in the U.S. don’t have any type of retirement accounts. Further, when considering all the working households (including ones with a retirement account and ones that do not have one), they have a median retirement account balance of $3,000. It’s even more troubling that working households reaching retirement have a median retirement savings of $12,000. The key to avoiding a potential retirement crisis is to start saving early. At the same time, it’s important to invest your retirement funds in assets that can outgrow inflation while offering portfolio security. Real estate is one of the potential investment options you can look at. A survey published by the Princeton Survey Research Associates International in 2015 put real estate (27%) as the favorite long-term investment option of the respondents, putting it ahead of cash investments (23%), the stock market (17%), and precious metals (14%). We’ll help you understand real estate assets that can help you retire rich. Self-directed Solo 401k: If you’re an eligible candidate for a Solo 401k retirement plan, you can add real estate to your retirement portfolio. The key is to choose a self-directed Solo 401k plan provider that allows purchasing real estate with your retirement funds. Some of the available investment options in a self-directed Solo 401k plan include real estate, precious metals, private lending, mortgage notes, tax liens & tax deeds, and stocks/bond investments. Self-directed IRAs: If you do not qualify for a self-directed Solo 401k, you can open a self-directed IRA and start investing in real estate. As the name suggests, you can choose among different investment options, including the ones mentioned above. The key is to open your account with a qualified custodian or trustee. 401k retirement plans: If you have an employer-sponsored 401k plan, find out if your employer allows alternative investments. If permissible, you can purchase real estate with your 401k plan. Pro Tip: When starting real estate investing, consult an expert to identify the best legal structure for your investments, such as a real estate investment trust. Residential rental properties: If you’re a new real estate investor, residential rental properties are the best vehicles to get started. You can start with single-family houses, duplexes, and triplexes. If you have a bigger investment appetite, you can look for small multifamily buildings, ranging anywhere between 5 to 50 units. Pro Tip: When investing in residential properties, try to purchase Class A properties only. These properties are newly built (less than 15 years old), demand higher rent, and attract high-income tenants. Commercial rental properties: Investors with experience in real estate and financial reserves can dive into commercial real estate investing. It includes office buildings, skyscrapers, warehouses, storage units, car washes, strip malls, and even small storefronts. In order to diversify within your real estate investments, you can even construct a small office building and lease offices to small business owners. However, keep in mind that commercial buildings have special safety and management requirements. Pro Tip: For commercial buildings, it could be worthwhile to sign multi-year leases, allowing you to receive stable cash flow and outlast any decline in rents. However, if you’re in a competitive market with increasing rents, your returns may stay limited because of the old leasing agreements. Mortgage notes: One thing that every real estate investor would agree with is the time and effort required to manage rental properties. If you’ve limited time or negligible experience in real estate, investing in performing mortgage notes is a good option. Much like rental properties, mortgage notes provide a stable cash flow minus the hassle of managing the property. Mortgage notes are available through banks, loan sales platforms, and brokers. Pro Tip: When purchasing a mortgage note, consider the risk profile of the note, assets backing the note, and borrower profile. Before purchasing the note, try to find out the underlying assets of the note and make sure that they are maintained or have resale value. When checking borrower’s profile, focus on their FICO score and debt-to-income ratio. Tax liens/tax deeds: For investors seeking passive income through real estate, investing in tax liens/tax deeds is another lucrative option. When a property owner fails to pay property taxes, the local county or city places a lien on the property. Any property that has a tax lien or deed issued against it cannot be refinanced or sold until the lien is cleared. A CNBC article states that more than $14 billion worth of property taxes remain unpaid every year, and at least one-third of these taxes are sold to private investors. However, investing in tax liens does require some amount of caution, so start by doing the due diligence on the property and be aware of the potential returns on your investment. REITs/ Real estate mutual funds/ETFs: If you’ve limited resources or time and yet have plans to add real estate to your portfolio, passive real estate investments could do the trick for you. Some of the top indirect real estate investments include real estate investment trusts (REITs), real estate mutual funds, and exchange-traded funds focused on real estate. The key again is to consider the long-term returns offered by these investments and their past performances. 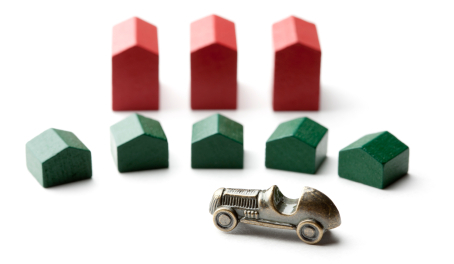 Pro Tip: You can choose passive real estate investments backed by different types of assets. For instance, you can choose among retail REITs, healthcare REITs, mortgage REITs, residential REITs, and office REITs. What Is a Non-Recourse Loan and Why You Need to Be Aware of It? A non-recourse loan, unlike conventional loans, does not require a personal guarantee, and the property itself acts as the collateral. Considering an absence of the individual guarantee, the IRS has no objection when you fund the purchase with a non-recourse loan. Another benefit of using a non-recourse loan within a Solo 401k plan is that a purchase funded by it doesn’t trigger Unrelated Business Income Tax (UBIT). The IRS has mentioned guidelines for the use of non-recourse loan with a Solo 401k plan in IRC Section 514. How to Complement Real Estate Investing with a Roth Solo 401k Plan? If you happen to have a Roth Solo 401k plan, you can increase your returns further by receiving tax-free distributions. Under a Roth Solo 401k plan, you pay the tax upfront, which allows you to distribute your assets tax-free during retirement. In fact, if you happen to sell the property held within your Roth plan, your capital returns will be tax-free, hence maximizing your returns. Great info.keep up the good work. Thanks Robert, I’m glad you enjoyed it! Congrats on making the Top 60 Real Estate Investing Blogs along with us! We’re always looking for exciting new content and guest posts if interested in sharing. Impressively written and knowledgeable article. Great post! I agree – diversification is a must. GOT TO MIX IT UP ! I used a self directed IRA to buy two rental properties in 2010.Both properties have almost doubled in value in 7 years and have accumulated over $90,000 in cash. This article says this type of account does not have “ checkbook control” which is true, sort of. You can designate your spouse as the property manager. She or He can not get paid where as another property manager can, but they will have checkbook control. Smartest move I have made with my retirement $200,000 to over $450,000 in seven years. Hello Bernie, you are welcome to contact my office and request a complimentary consultation with me. I don’t know if I can help you but would be glad to chat with you, learn more about you and perhaps offer you some recommendation. Previous PostSetting Your Goals for Real Estate InvestingNext PostToday's Mortgage Debt – Secure or Not?